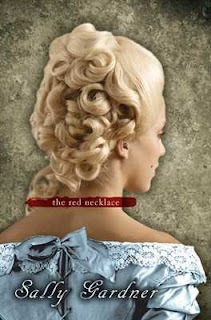 Set during the turbulent times of the French Revolution, The Red Necklace follows the life of young Yann Margoza. Born into the life of a performer, he has traveled with a dwarf and a magician, helping them perform various tricks for numerous audiences across France. However, when a Count Kalliovski invites them to a special performance at Marquis de Villeduval's chateau, Yann's world becomes filled with death and shady pasts. Sally Gardner smoothly transitions the reader to a previous time, as the reader follows the lives of Yann, a young gypsy with extraordinary gifts, and the Marquis' unfortunate daughter, Sido. The reader gets to see how, at the worst possible time in French history, the life of a simple performer gets intertwined with the realm of nobility. The Red Necklace will draw you in with unforgettable characters.